Do you remember the “PEZ” containers that had candy in them? I do. 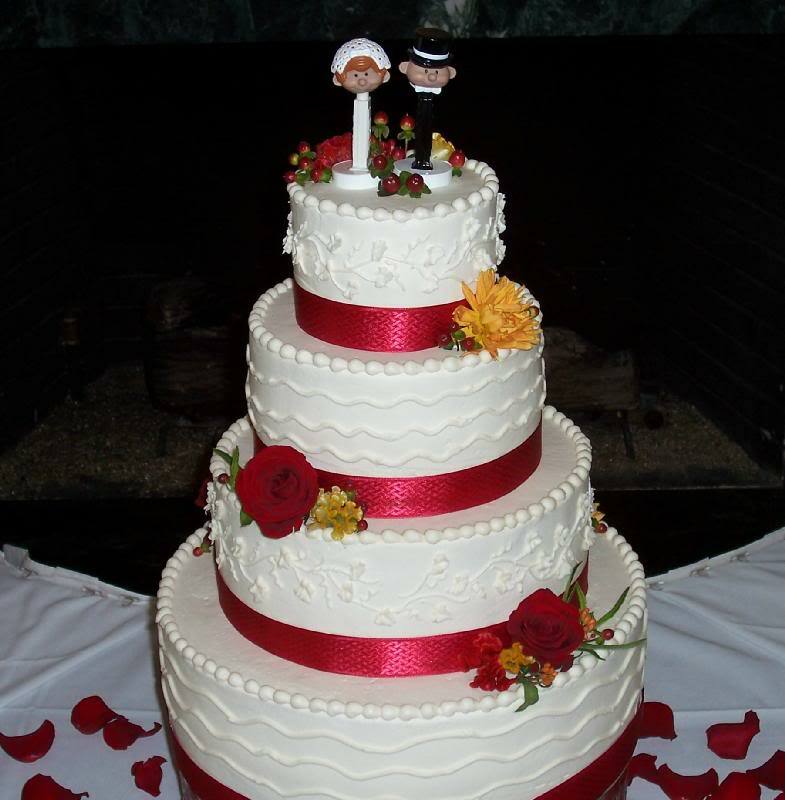 This couple found these and thought they would make a nice topper for their cake. Not sure if they are the REAL thing but I agree, they are cute and different. They also chose the wave and vine design with a red ribbon wrapped around each tier with a few fresh flowers.